as well as all our Catholic friends. 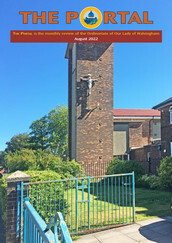 News from Ordinariate Missions around the UK. when each issue is published on-line. a company limited by guarantee with no share capital registered in England, Company Reg No: 07582943 and Charity Reg No: 1141536.